Full dry cleaning services, including bridal wear, blinds and draperies, home furnishings and valet service. Browns now offers an environmentally friendly solution, GreenEarth Technology. Help your clothes and the planet! Quality, traditional shoemaking services are also offered in-store from Alfredo the Shoemaker. Quality, tradition and a dual commitment to community and continuous technological advancement are the hallmarks of Browns Cleaners. Family owned and operated since 1958, the first Browns was opened by pioneering Jamaican immigrants Hubert and Estelle Brown. 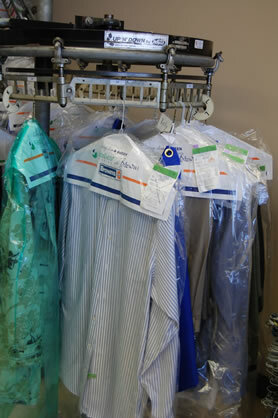 Initially offering tailoring services, the business grew to encompass drycleaning in the 1960s. 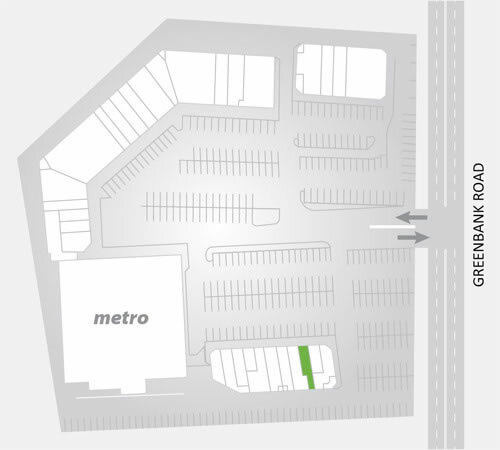 Owned by the MacGregor family since 1976, today Browns Cleaners can be found in 27 locations across Ottawa, including its newest location at Greenbank Hunt Club Centre. President Malcolm MacGregor started his career in the drycleaning industry in the 1950s, became a partner in Parker Cleaners in the mid-60s, and took ownership of part of the original Parker Cleaners, including 22 stores, in the early 1970s. MacGregor felt it important to retain the Browns name when his family combined the two sets of stores and drycleaning plants in the mid-70s, in part as a way of paying tribute to the much-respected local figure of Hubert Brown. The family focus of the business remained with the MacGregor clan. Malcolm's son Brian fondly remembers some of his first jobs for the business, including rolling coins from the coinwash at the kitchen table with his siblings and cleaning lint out of dryers. Brian joined the business full-time in the early eighties and took the lead role in the company in the late nineties; he and Malcolm look after day to day operations. Brian's sister Catherine and their mother Heather are also involved in the company; Heather is a former nurse who looks after payroll on a part-time basis and Catherine is active each spring in supporting the Fairy Godmother of Ottawa program (more on this below). 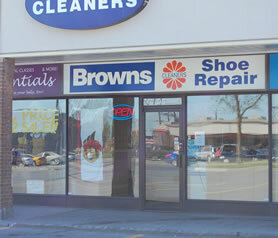 Today Browns Cleaners is one of the most technologically advanced drycleaners in Canada, making it the only Ottawa drycleaner able to guarantee the condition of draperies through the cleaning process, offering GreenEarth Technology to benefit the environment and customers with sensitivities, as well as ultrasonic cleaning for blinds. A wedding gown specialist, Browns offers the full spectrum of services expected of a modern drycleaner. Most of the 27 locations (many of them operated by franchise owners) also offer on-site tailoring services, and Greenbank Hunt Club Centre boasts the services of Alfredo the Shoemaker, who has more than 20 years of traditional shoe repair experience and old-world skill. 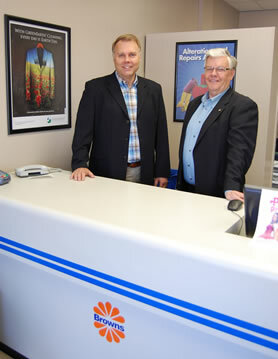 Giving back to the community is extremely important to the MacGregors and their local teams at Browns Cleaners. The business supports Fairy Godmother of Ottawa each spring, a program which makes prom dresses available to young women who are unable to afford a gown, and is a partner in My First Suit, which helps women in need get their first business suit as they enter or re-enter the workforce.